Join Us!!! We are looking for someone to help us cover PBL basketball. Please send us an e-mail. Rochester RazorSharks inked 24-year old power forward Robert Curtis (208-107kg-90, college: Wayland Baptist, agency: Elite Talent Exchange). He played most recently at Saint John Mill Rats in Canadian NBL. In two NBL Canada games he averaged 9.0ppg and 5.0rpg this season. The last season Curtis played also at Saint John Mill Rats (NBL Canada) in Canadian NBL Canada. In two games he had 4.5ppg and 5.5rpg. Two years ago Windsor Express selected him as first overall pick in NBL Canada draft. The former Wayland Baptist University (NAIA) star Curtis graduated his college in 2012 andis in his second season in pro basketball. Among other achievements he played in the final of HPB Tournament in 2011. 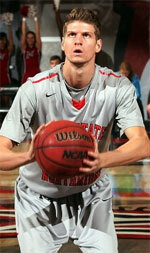 Curtis received also All-California State Tournament 1st Team- award back in 2010 at his college time. 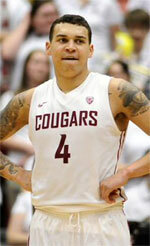 Curtis' game is described as: Left-handed, a high caliber big man who also has the skills of small forwards. He can score in numbers of different ways and pass the ball well. He also makes mid-range jumps consistently. Good offensive rebounder. The Rochester RazorSharks officially announced their move to participate in the new North American Premier Basketball League (NAPB) for the 2018 season at a press conference held on August 2nd, at the Blue Cross Arena. The RazorSharks spent the last decade as part of the Premier Basketball League (PBL), and reigned as league champions for 7 years of their tenure, including four consecutive championships in the last four seasons. Their move from the PBL to the NAPB signals an upgrade in competition as the new NAPB league has set its level of play second only to the NBA and above the G-League (NBA developmental league). Dr. Severko Hrywnak and his business partner, Dave Magley , now League President and COO of the NABP, announced the formation of the new league on July 6th, 2017 at a press conference in Chicago, IL. The league's chief intention is to reconnect professional basketball with markets throughout the United States and western Canada. The goal is to refill markets abandoned by defunct or relocated leagues as well as bring basketball to areas and demographics that can support professional basketball. As of Monday, August 7th, 2017, Chris Glisson will officially be the sole owner of the Lake Michigan Admirals once again. The James family, who had major plans to move the team to Warren, Michigan, had a huge setback when a major investor group decided that they were not going to be able to help this upcoming season. This put the James family in a financial pinch and that's when Glisson and Mr. and Mrs. James had a meeting to decide what the next step was going to be. Glisson made a very important decision to acquire the team back so that the James family would be able to carry on their mission in Warren, Michigan. In the mean time, the Lake Michigan Admirals headquarters will be moving back to St. Joseph, Michigan where they were founded in May of 2009. It has not been decided if the Admirals will continue to play as an International Tour Team or play in the World Power League for the 2018 season. Finals Co-MVP: Jerice Crouch (6'0''-PG-84) of Rochester R.
Finals Co-MVP: Corey Allmond (6'2''-G-88) of Rochester R.
Player of the Year: Corey Allmond (6'2''-G-88) of Rochester R.
Guard of the Year: Corey Allmond (6'2''-G-88) of Rochester R.
Center of the Year: Nicholas Waddell (6'7''-C-89) of Kentucky M.
Coach of the Year: Chris Iversen of Rochester R.
PG: Jerice Crouch (6'0''-PG-84) of Rochester R.
G: Corey Allmond (6'2''-G-88) of Rochester R.
F/C: Gerard DeVaughn (6'9''-F/C-88) of Kentucky M.
C: Nicholas Waddell (6'7''-C-89) of Kentucky M.
PG: Anthony Jackson (5'11''-PG-85) of Kentucky M.
F: Christian Davis (6'3''-F) of Jamestown J.
Melvin Council (6'3''-G-82) of Rochester R.
Michael Davenport (6'5''-G-89) of Jamestown J.
Nathanial Hill (F) of Jamestown J.
Edwin Ubiles (6'6''-F/G-86) of Chautauqua H.
Tyquan Stroman (6'6''-F) of Chautauqua H.
Bryant Osei (6'5''-F/G-90) of Washington W.
Michael Oblitey of Washington W.
Julius Francis (6'11''-C) of Dubois D.
C: Stan Simpson (6'10''-C-90) of Kentucky M.